The ethical dilemma forces the government to either kill wolves in an attempt to save a species or do nothing and leave the caribou. VICTORIA — British Columbia is aiming to increase the number of wolves it kills this winter in the second year of a plan to save endangered caribou, prompting criticism from celebrities and renewed debate over the controversial strategy. The wolf cull is the best shot to protect threatened caribou from extinction, say caribou experts and government officials, who admit it will take years to determine if the science behind killing wolves works. "It's like trying to dial a radio station in with boxing gloves on," said Tom Ethier, an assistant deputy minister at B.C. 's Ministry of Forests, Lands and Natural Resource Operations, which oversees the cull. "We're really trying to figure out: does this work?" The government planned to kill about 200 wolves last winter, but a low snowpack and bad weather made the hunt difficult, he said. Sharpshooters in helicopters killed 84 wolves in B.C. 's northeast and southeast regions, Ethier said. Wolves are preying on the herds, reducing some caribou in those areas to the point of near extinction, he said. "We did not meet our goal, so this year there could be more wolves removed," Ethier said. The South Selkirk caribou herd had just 18 animals in March 2014, down from 46 in 2009, the government stated. There are about 950 caribou in seven herds in the northeast, with wolves responsible for 40 per cent of deaths in four of those herds. "This is why we need to act," Ethier said. "In five years, we're hoping to turn it around and hoping it tells us this technique works. Obviously, we would prefer choices that are not as striking as this one, and not so loaded emotionally." Both Miley Cyrus and Pamela Anderson have recently criticized the hunt. On Friday, Anderson called on B.C. Premier Christy Clark to find a better solution to save caribou than the slaughter of wolves. Cyrus asked her Instagram followers to sign a Pacific Wild petition to stop the killings. The petition has grown to almost 200,000 signatures. In response to Cyrus, Clark said she didn't think the American singer knew enough about B.C. 's environmental plan to save caribou herds to be jumping into the debate. "If we need help on our twerking policy in the future, perhaps we can go and seek her advice," said Clark, who suggested Cyrus stick to her signature dance move. But conservation scientist Chris Darimont of the University of Victoria said Cyrus is expressing what many people feel about the wolf cull. 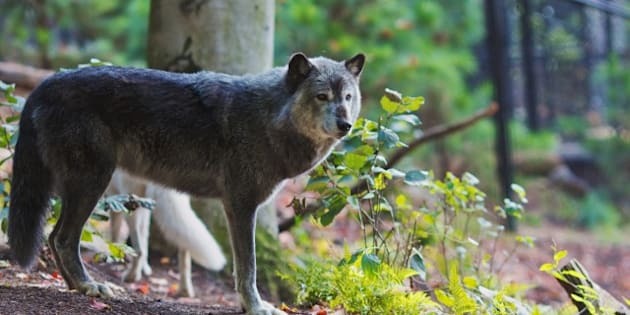 "Despite her not being a particularly informed advocate, she's thinking clearly on this issue, and that is probably like many British Columbians, that at a sort of gut level they are opposed to wolf control," he said. Darimont said successive governments have permitted forest, oil and gas and other resource companies to destroy and encroach on caribou habitat, and now that some herds are on the brink of extinction, wolves are made the scapegoat. "It's a desperate, last-minute Hail Mary attempt to avoid what really ought to be done and that is slow down and stop habitat destruction in caribou habitat," he said. Since 2007, the province's mountain caribou recovery program has protected 2.2-million hectares of habitat in the South Selkirk, and in 2012 the government protected about 400,000 hectares of habitat in the South Peace. Alberta government caribou expert Dave Hervieux said a 10-year wolf cull in Alberta worked, but it resulted in the deaths of about 1,000 wolves to save the Little Smoky caribou herd. "Our assessment was then and remains, that population would be gone now, gone forever," he said. "In that regard, the program has been a success." B.C. Opposition New Democrat environment critic Spencer Chandra Herbert said B.C. is messing with Mother Nature and animals are being sacrificed. "I hate it. I wish this didn't exist," he said. "Some government science says maybe it will work, but maybe it's a 50-50 chance. That's pretty crappy odds for a population of caribou." Filming Wild Wolves In B.C.